Beige kitchen cabinets with Typhoon Bordeaux Granite countertop. Copper color porcelain kitchen backsplash tile. It’s unique and elegant copper backsplash tile. 6″x12″ size subway kitchen backsplash tile make it clean and elegant look. 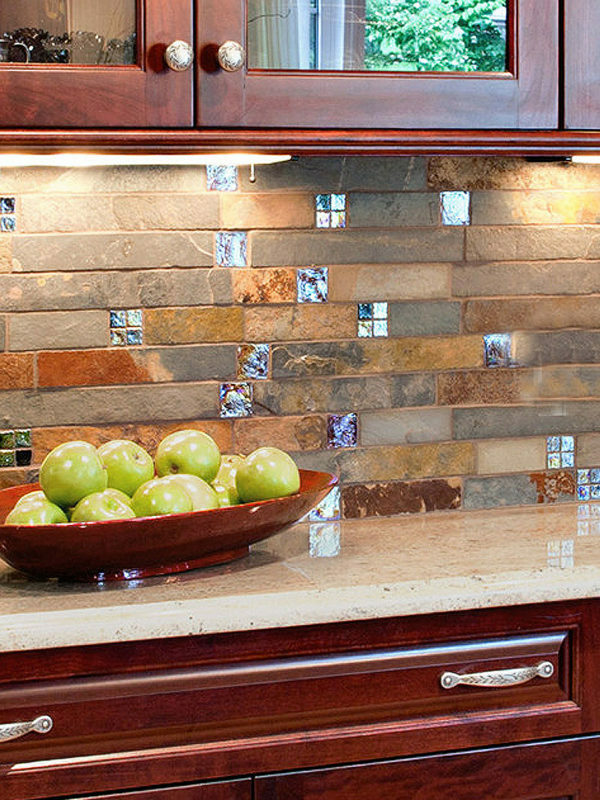 This porcelain backsplash tile comes with metallic copper color. This entry was posted in BRICK, PORCELAIN, SUBWAY. Bookmark the permalink.